Consultancy, advice and guidance related to investments in banks and companies deposits/stocks and shares/MFs/SIPs/insurance products and other tan saving instruments with a view to maximize returns on investments and minimize taxes. The Project Finance Group has institutionalized capabilities to successfully manage the unique and multidimensional process of project finance transactions led by customized project structuring approach. - Arrangement of all Types of Loan as per the requirements of Borrower from Banks/Institutions. - Assist the client's in documentation to avail various facilities and in Renewals. - Preparation & Appraisal of Project Report. - Liaison with Bank Managers, Advocates, Valuers, Solicitors and Clients. - Advising of Resource Mobilization. We have an excellent track record in delivering world-class restructuring services to turnaround stressed companies. We provide comprehensive solutions to address reconstruction and re-capitalization issues. Ravi A. Shah & Co.
- Our exhaustive arrays of services include dealing in various Project Financing by arranging finance for Corporate, Businessmen, Traders and Exporters etc. through private equity, venture capitalists and other sources. 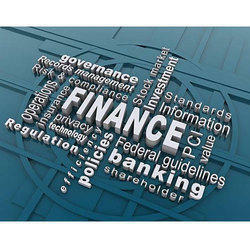 The firm also deals with Project report preparation along with banks, Financial institutions, etc. We carry various market surveys and studies to offer Project Report and Loan Documents services to our clients. These services are executed in highly professionally manner and this is the reason that we have become a leading choice of our clients. We provide end to end services starting from assessment of client requirements, preparation of project reports / financial statements till finalization of funding and disbursement. We have liaison with various banks, financial institutions and other funding agencies and have expertise in the procedures adopted by them for the funding process.